We have awesome neighbors who have a pool and Firecracker has been spending every minute she can over there. 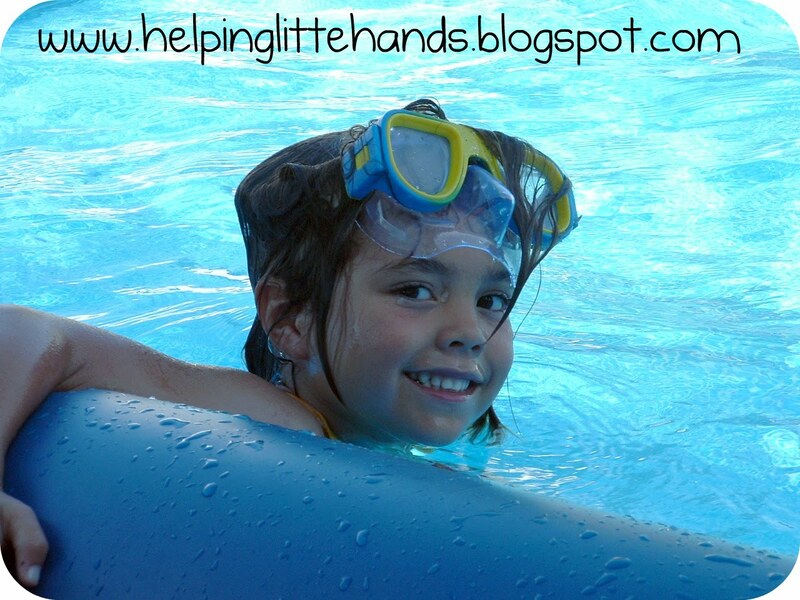 Our neighbor has been teaching Firecracker how to swim, and teacher and student are doing a great job. 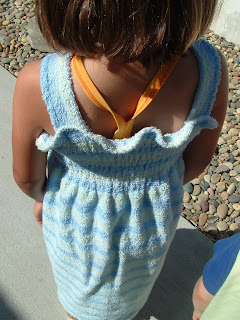 I saw Dana's tutorial over on MADE for turning a towel into a cover-up-dress. Brilliant! 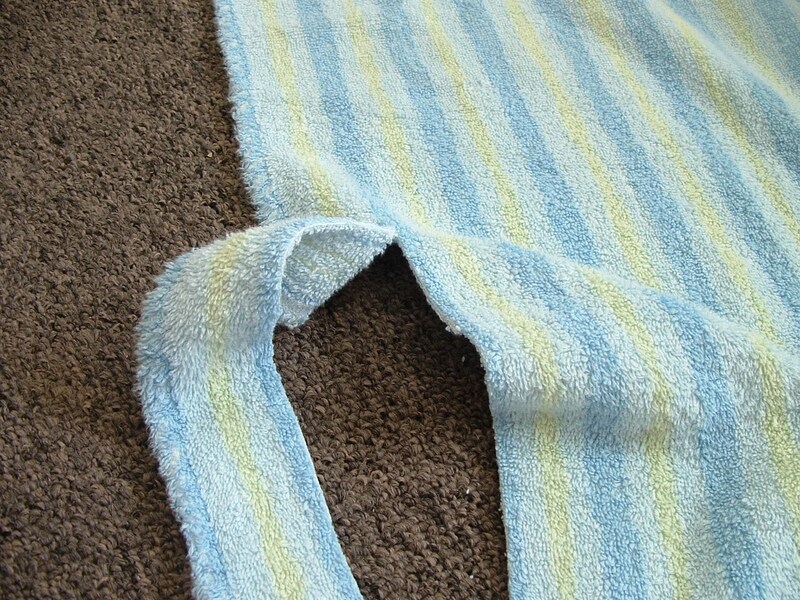 While I was cleaning up today, a baby towel resurfaced that was the perfect size to make a cover-up dress for Firecracker...just what she needs for all this pool time. Even better...it had horizontal stripes, so I wouldn't even have to mark where my lines were going to be. 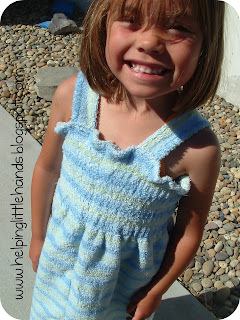 I looked up this tutorial online at CraftStylish for shirring. This is my first of what are going to be many shirring projects. It's so easy! 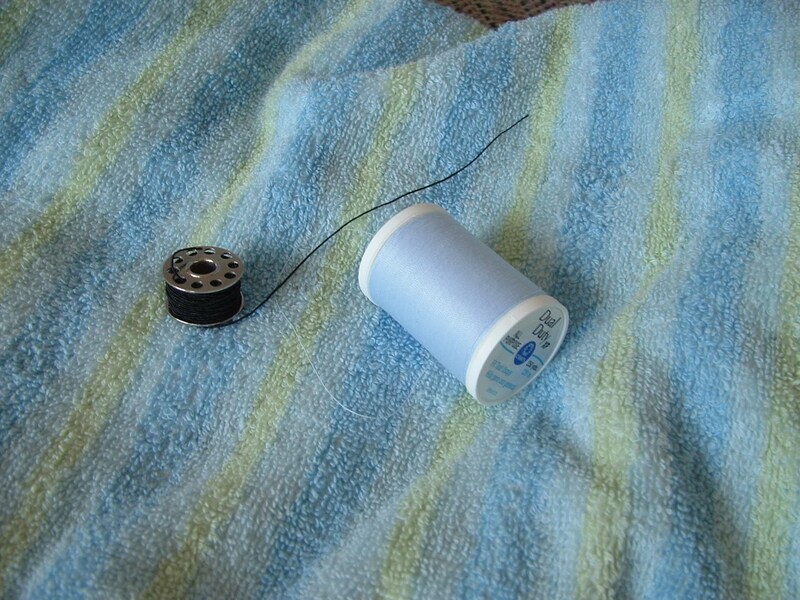 Here's all it takes...A thin towel, elastic thread hand-wound on the bobbin, regular thread, and a sewing machine. I'm not going to give you a whole tutorial. 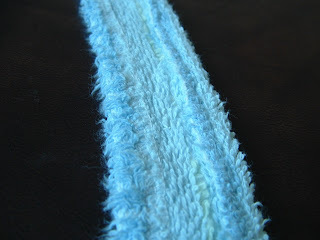 The only thing I really did different was to cut a strip off the bottom to make the straps. Then I just sewed the straps on by having Firecracker put the towel part on and marking where they needed to be...no measuring involved. Here it is all finished! I just barely realized she had this on backward for pics...but I'm not retaking them. Front and back are the same except for the seam going down the middle. Thanks for tyhe awesome idea, Dana! Now I'll have to make one for myself. So cute and quick! Clever mama. Good luck to Firecracker with the swim lessons! Yours is MUCH prettier than mine. 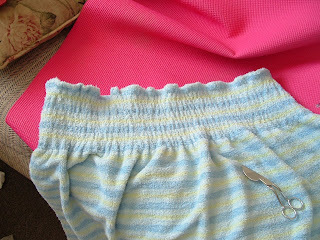 I encased an elastic in the top and added a ruffle to the bottom but it was way to big, so maybe photos next year. cute! i love it! such a great idea! That is amazing! You did a great job! I'm really impressed that you wanted to learn how to make shirring so you figured it out and did it! Way to Go! Thanks for sharing this with us, I found you from The Girl Creative and can't wait to see your other projects! 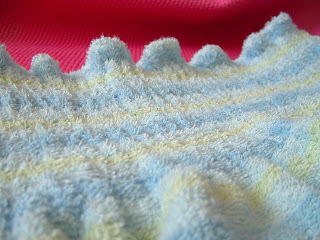 Not sure why I am only just following you, as I have always loved your blog. You have so many great ideas.